Last December when Koji Wada of the renowned Blue Harbor visited the Steinhart Aquarium he was kind enough to bring us two stunning Halcuriascarlgreni anemones. 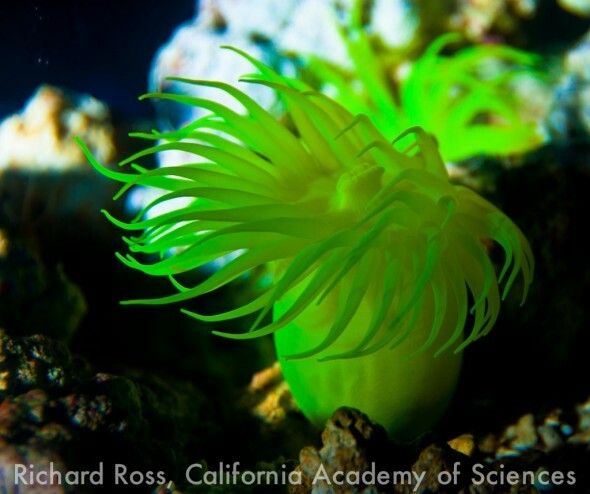 From Japans deeper, cooler waters, these anemones are jaw droppingly bright and colorful. Currently, they are being kept at 66 degrees in our Nautilus exhibit and both animals seem to be getting along just fine with each other. The Halcurias are being fed thawed frozen mysis via ‘Julians Thing’ every other day, and we hope they will be so happy and full of food that we will have more of them in the near future.